Microsoft recently shared a Windows support bulletin which deals with the auto-removal of installed updates that are preventing your system from starting. You can find the support document published by Microsoft yesterday here, as spotted by tech site Windows Latest. Having Windows cease to operate after updates is a rather scary occurrence. Even if you follow any kind of backup regimen, if the worst comes to pass you might still be facing a lengthy stint recovering files, re-organising your computer, reinstalling software, or even refreshing the OS itself. Windows 10 has brought major biannual updates, as well as the more regular selections of patches, and sometimes its rapid pace of updates can cause issues rather than add compelling new features and fix various issues as intended. My experience of Windows recovering from any errors on its own is thankfully not unpleasant. There have been some notably bad updates automatically foisted upon Windows 10 users in recent history, but when bad things happen Windows can often automatically recover, or users can pop into safe mode and dig out the offending software/update. Now Windows will go a step further to help users out of an update pickle. Microsoft's new support page says that if you start up your PC to be greeted with the message "We removed some recently installed updates to recover your device from a startup failure," then Windows has acted after "all other automatic recovery attempts have been unsuccessful". 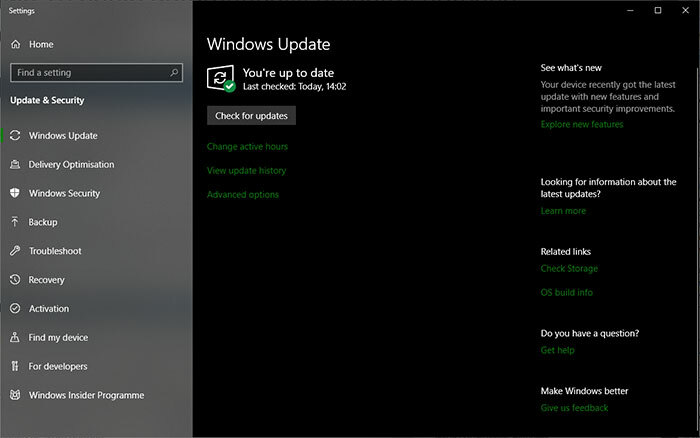 In addition to this action, Windows will prevent problematic updates from installing automatically for the next 30 days - giving time for Microsoft to update its updates… After this period the iffy update (or hopefully a revised version of it) will be feature among the recommended updates again. If you believe that the updates should not have been uninstalled via Microsoft's new auto-recover system, users can bypass the 'restrictions' by following instructions for manually installing drivers and /or quality updates. And if it botches the auto-removal? Just reinstate your QA department already. Nevertheless, I see this in abundant usage. What with the quality (or lack thereof) of Microsoft's updates and all. OK, so what if the GPU driver is the failure? Windows may boot just fine and the display will be blank, allowing you to do nothing. Will it detect this as a botched install? What about the USB drivers so it kills your keyboard / mouse? Windows may well boot just fine but you can't do anything. How about when I get REALLY CROSS after they force the update upon me again, having not fixed it and I put an axe into my PC? Will this be detected as a botched update? How many times will it allow you to remove a screwed up update before forcing it upon you in the name of avoiding version fragmentation? Or do you have to go through this palaver of install-break-uninstall every 30 days until you come across another update which requires the broken update that gets continually uninstalled in order to function properly and Windows just proceeds onwards with the installation of the new update anyway and borks your computer in a way which is both unique and genuinely retarded? Yes, I have had this before where a PC has been rendered unusable because an update was somehow missed months before… subsequently another update built on the foundations of the previous update and led to a PC which did not function without wizardry (and eventually removing all updates to just before the one that was missed and then re-downloading and installing them). Windows updates are now worse than anti-virus software for creating more problems than they solve…. and I used to use Norton. Jeez, when will these idiots at MS learn? Give us control over what gets installed, or ununstalled, automaticalky, and when. Instead of trying (with who knows what success rate) to unbork what it has borked, give the control of whether to risk borking our machines back to us. Don't just do this stuff …. ask first. Not that I care any more, but talk about having a tin ear.